As I'm sure I've mentioned, I have a hard time letting a house guest leave without a knit good or two. 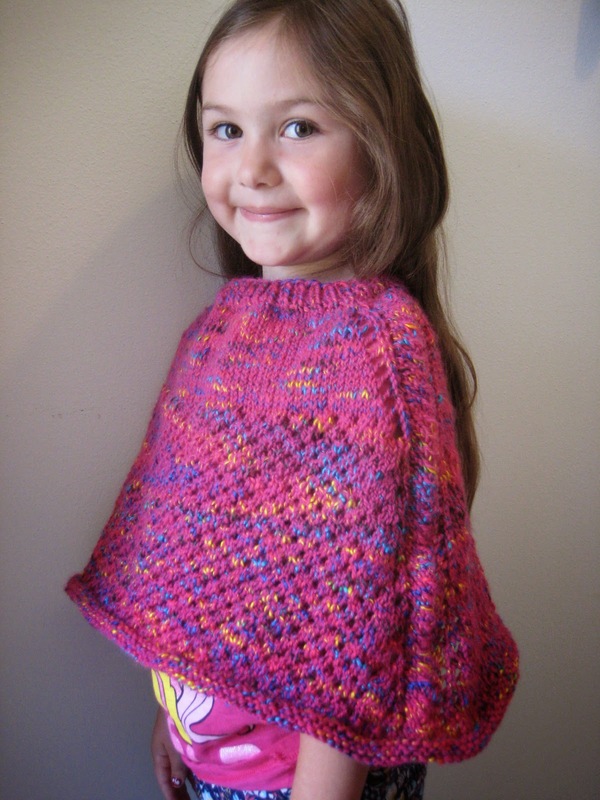 And since a friend stayed for weeks to help with our family's latest addition (who I'm sure I'll knit something for soon as well), I designed this poncho for her daughter in return. Since I was working with a variegated yarn, I tried to keep the pattern simple but appealing, and worked a basic openwork for the majority of the design with a couple of lace stripes for the shoulders. As I found out as soon as my friend's daughter put it on, however, it looks just as good with the stripes going up the front and the back of the poncho as it does with them on the shoulders! The cellular stitch, closer up. And once that's done, we'll knit the following transition row, in order to place our extra stitch markers. It is the same for both sizes. Knit rows 1 - 12 three times (four times for the larger size). Then, purl four rows around and bind off loosely. Tuck in ends and, if desired, stitch purled edge in place where it naturally curls, for the border. Do you have instructions for a size 10-12 poncho? transition row, in order to place our extra stitch markers. Knit rows 1 - 12 six times. Then, purl four rows around and bind off loosely. Tuck in ends and, if desired, stitch purled edge in place where it naturally curls, for the border. I'm having trouble with Row 1 after the transition row. 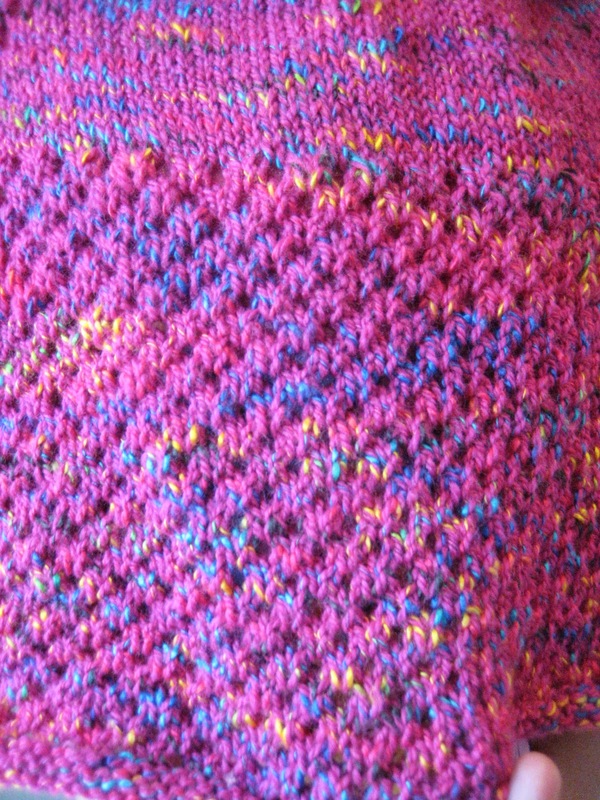 There are not enough stitches left after the third marker to follow the pattern. I've restarted this project 3 times and always end up short stitches. Can anyone give some insight as to what I am doing wrong. adult size large? 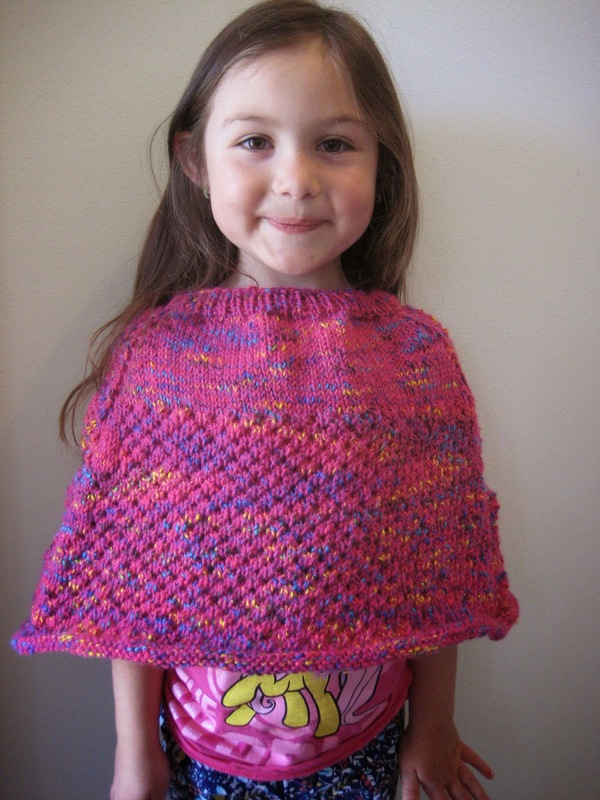 I really like this pattern, but need adult size. Thank you. 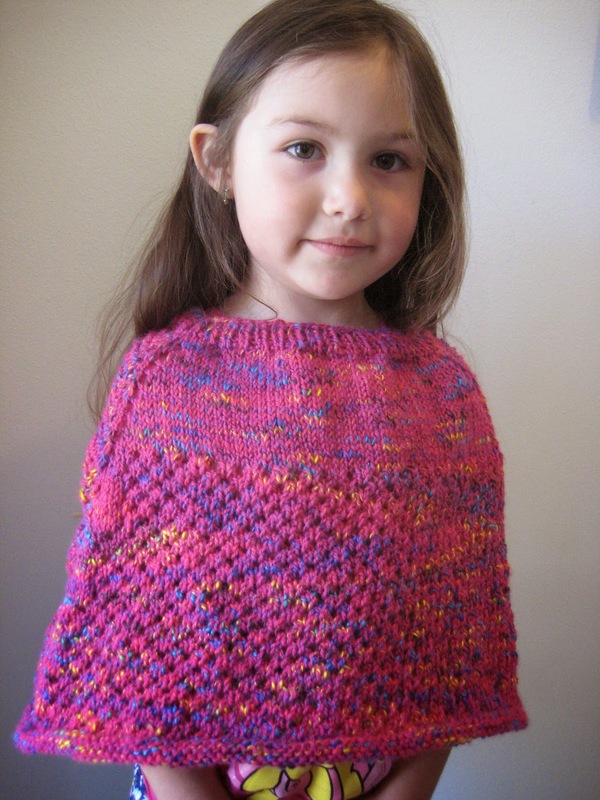 this is a beautiful pattern and was wondering if there is a crochet conversion? thank you so much. First, thank you for sharing your patterns freely with everyone. I have made two of your hats so far and love them. I have been searching the web the last few days for a pattern to make a "messy bun hat" and nothing has jumped out at me until I saw your poncho. 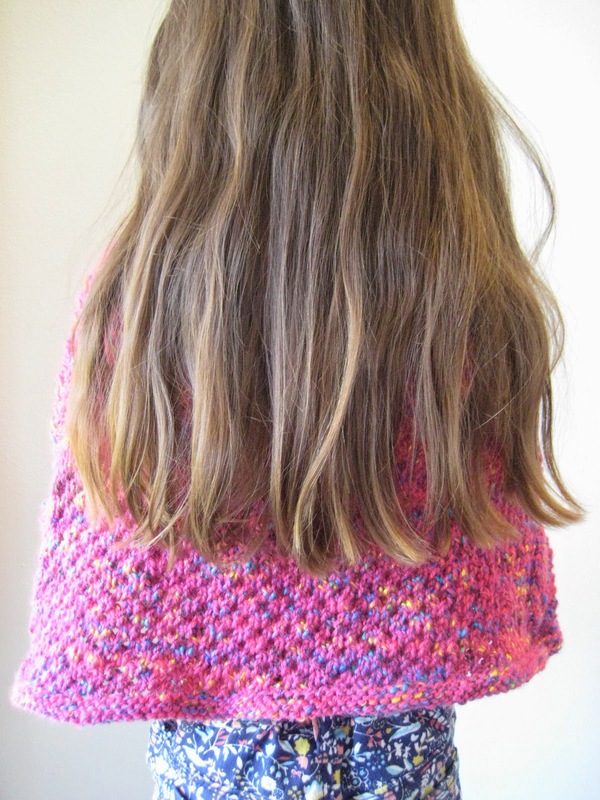 I'm very new to knitting so I was wondering what part of the pattern is the "bobble type stitch'? Also, have you by any chance done a hat out of that stitch pattern? Any help would be greatly appreciated. Thanks for the reply. 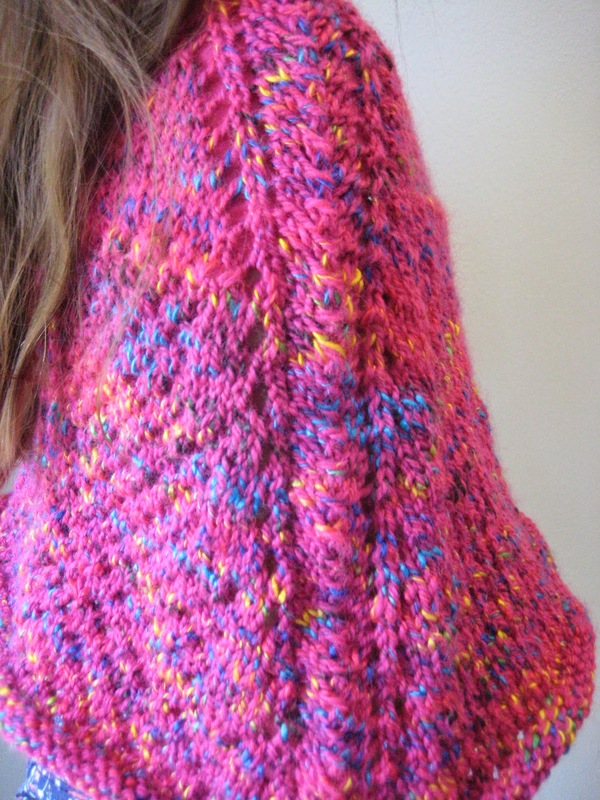 I guess I'm calling the bottom part of the Cellular Stitch Poncho "bobble like" So what I'm wondering is what the repeat pattern is on that part (bottom half of the poncho). I purchased some of Lion Brand's Scarfie yarn and think a messy bun hat would look great in that yarn and your pattern.